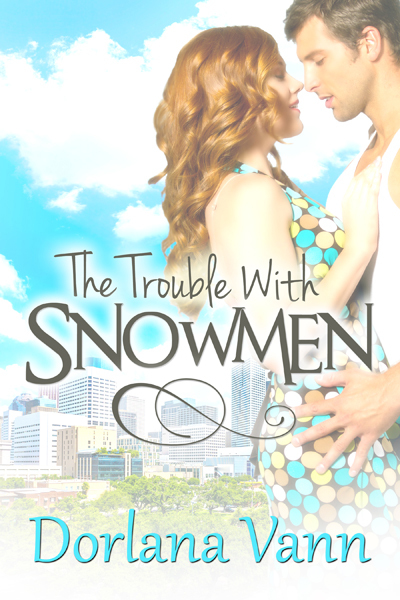 One of the Downtown Houston, Texas locations mentioned in my romantic comedy, The Trouble with Snowmen, is Discovery Green. This urban park has over 11 acres with a stage, a playground, shaded seating areas, gardens, and plenty of room for festivals. Last weekend, we (I went with my husband and son) attended the Egyptian Festival. They had camel rides, food, a show, and tented shopping, charity, and community booths. I found a little treasure: a unique hand-carved cano pic jar to add to my Egyptian collectibles. Later, we sat on the lawn and watched the show for a few minutes, and then walked through the Wortham Foundation Gardens to The Listening Vessels. You sit on the little bench in the stone sculptures and another person sits in the other one that is directly across and 70 feet away. Y’all talk, and you can hear the other person’s voice all around you. It’s really cool. If you live in Houston, or plan to visit, this is a great family outing, even if there isn’t a festival going on. Nice. And it was pretty hot for October. But there is a lot of shaded places at least.